Bring back memories and make brand new ones with Nintendo’s ultimate retro gaming experience, launching on 11 November 2016! Relive the 80s when the Nintendo Classic Mini: Nintendo Entertainment System (NES) launches in stores on 11th November this year. 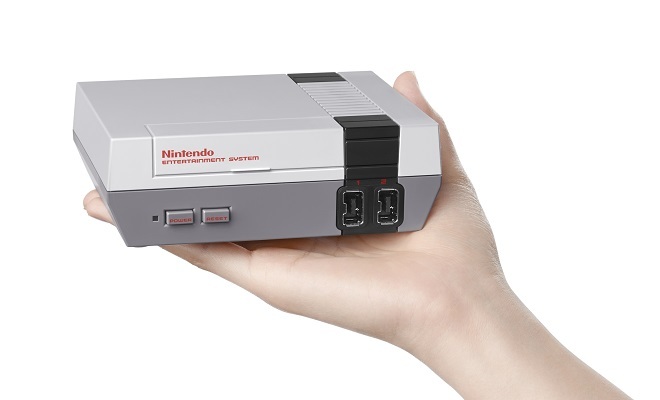 The classic NES is back in a familiar-yet-new form as a mini replica of Nintendo’s original home console. Plugging directly into a high-definition TV using the included HDMI cable, the console comes complete with 30 NES games built-in, including beloved classics like Super Mario Bros., The Legend of Zelda, Metroid, Donkey Kong, PAC-MAN and Kirby’s Adventure. The Nintendo Classic Mini: Nintendo Entertainment System comes packaged with an HDMI cable, a USB cable for powering the system, and one Nintendo Classic Mini: NES Controller. And whether it’s rediscovering an old favourite or experiencing the joy of NES for the first time, the collection of NES classics included with each and every system should have something for all players.